MotoGP – Back in the Day. 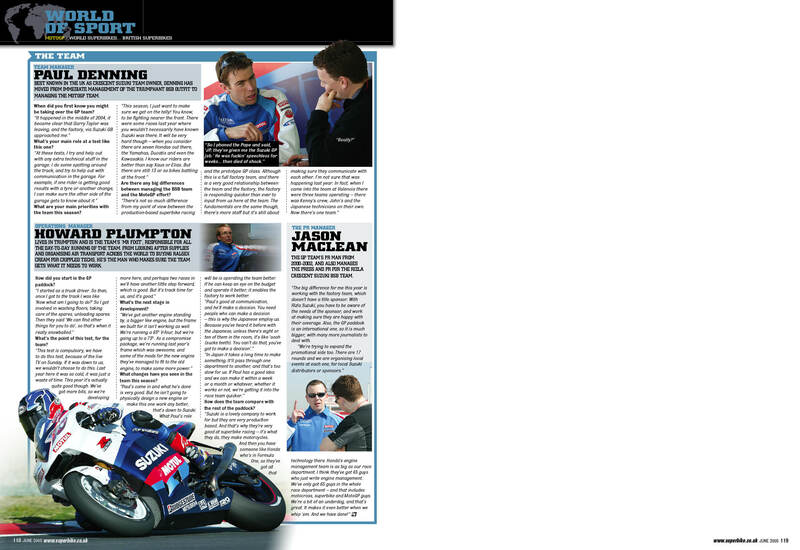 Suzuki’s back in MotoGP this year, and putting on a pretty impressive show. 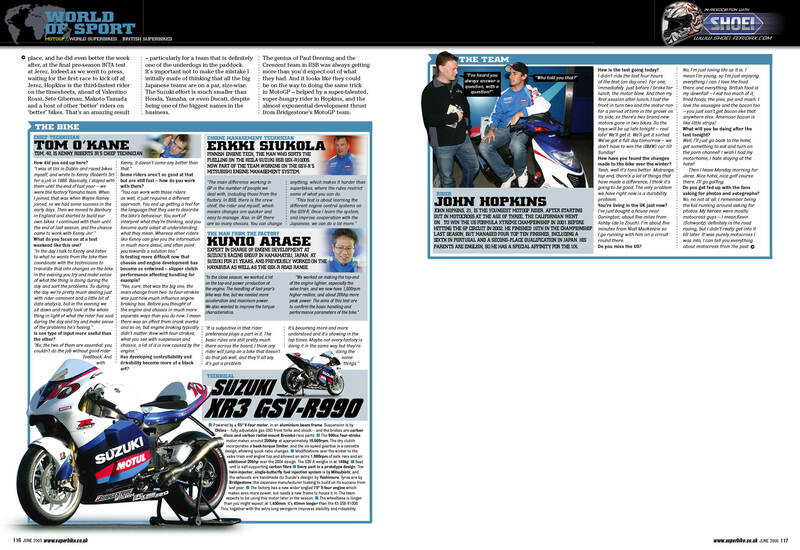 Here’s a look back to 2005, when SuperBike went to the pre-season IRTA test with the Crescent Suzuki MotoGP team, running John Hopkins and Kenny Roberts Jr.